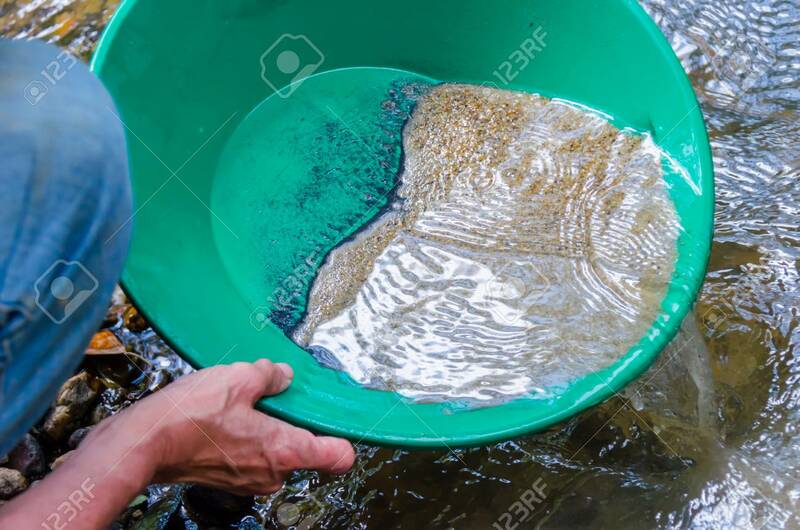 Gold Panning In Mineral Rich Riverbed. Fun Activity Of Prospecting For Gold And Gemstone. Lizenzfreie Fotos, Bilder Und Stock Fotografie. Image 103722833. Standard-Bild - Gold panning in mineral rich riverbed. Fun activity of prospecting for gold and gemstone. Gold panning in mineral rich riverbed. Fun activity of prospecting for gold and gemstone.